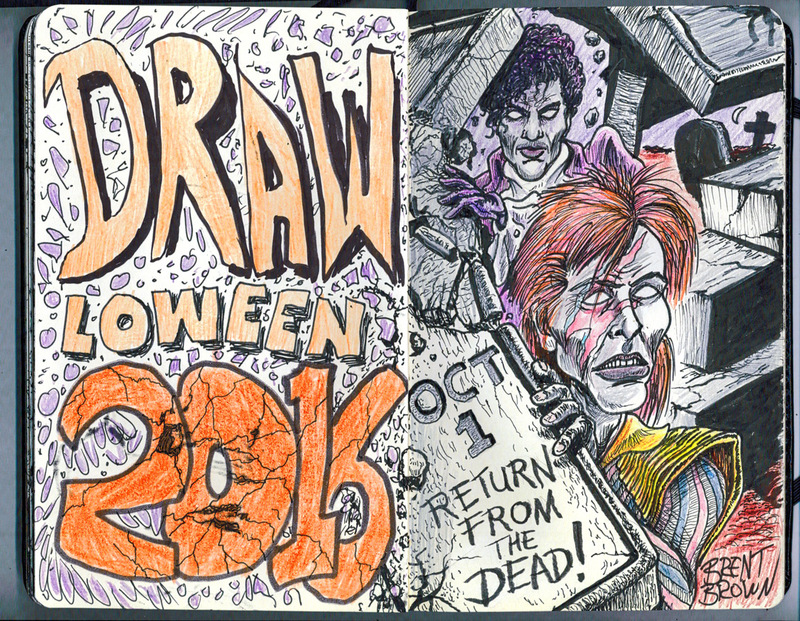 Home » Drawlloween » Drawlloween 2016 Day 1: Return From The Dead! I liked the idea of Inktober because I enjoy black and white doodling in a sketchbook, and my son had just bought me yet another one for Xmas 2014 and I felt bad not using it or the other many sketchbooks that were “too nice” to mess up with just any crappy scribbling I had on my mind. The problem is always, “WHAT to draw? 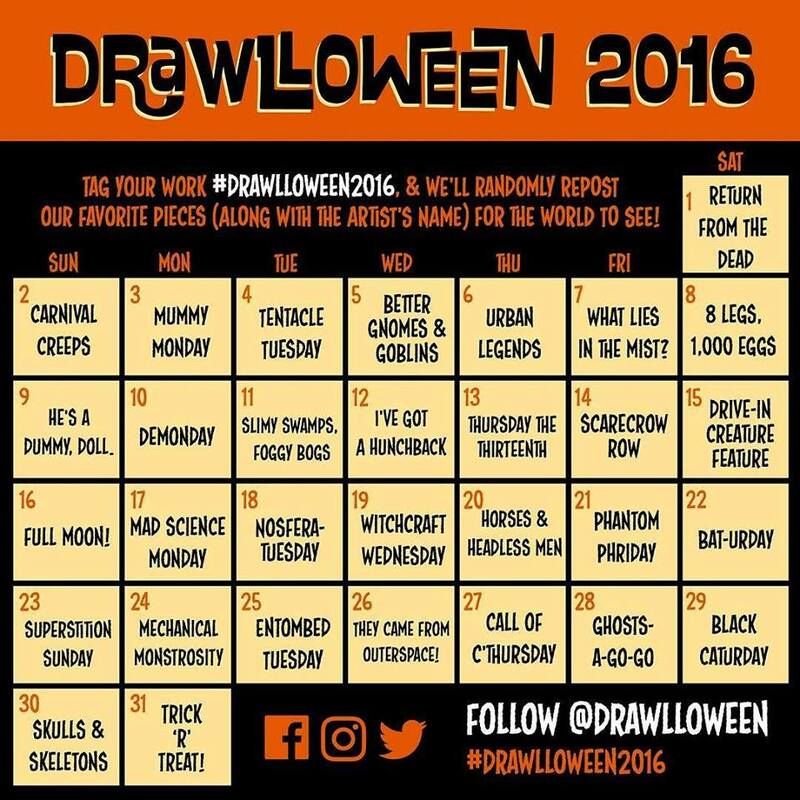 ?” and I work better with being assigned something than coming up with something on my own anyway, so I found that the Drawlloween list of “Halloweeny” drawing prompts fit the bill perfectly! I wasn’t sure I could actually find the time EVERY damned day of the damned days of October to do the assigned subject in a way I felt appropriate (I almost always wanted to do a funny take on it, or at least TRY to be as original as one can be when contributing to a pool of art from other, talented and creative types who are also trying to be original and unique. 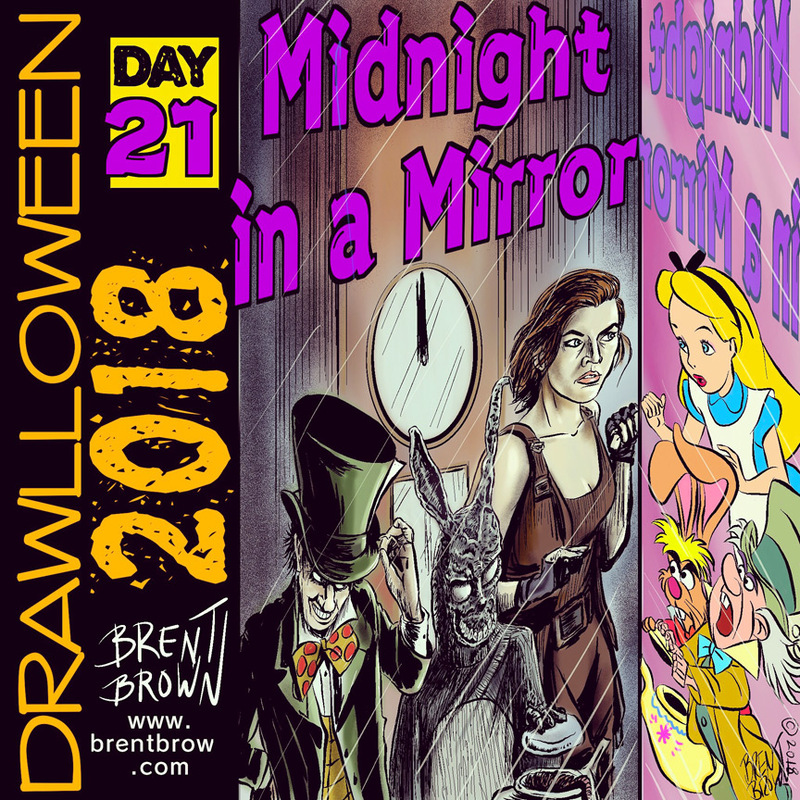 However, to my surprise, I was able to get each day’s assignment done on time and eventually started trying to tie the two day, double-spreads together, which gave me another hurdle to jump each day, but made it more challenging and fun. Since we lost so many great public figures this year, I wanted to pick a few that would be visually appealing enough to draw “returning from the dead” (not to belittle or make fun of their deaths, but to revere them enough to want them to come back!) So I picked David Bowie and Prince but put them in their Ziggy Stardust and Purple Rain periods of dress, pushing aside the mausoleum covers and tombstones and coloring the inks in real life with pencils instead of scanning and doing it digitally.